I’m back blogging! The last three weeks have been so difficult. My dad took seriously ill and my focus — and my family’s focus — has been getting him back to the healthy, active, independent person that he is. The holidays were kinda sombre — it’s hard to want to celebrate when someone in your family is missing. Thank God, he is doing better, but we still have a way to go until he’s 100% back to himself. To all of you that sent prayers, thoughts and good energy that you’ve sent us, thank you very much. I’m bust-down tired and, sniff, I had to cancel my vacation, but it’s all good if my dad is feeling better. I’ll be honest, 2010 was a hard year for me. There were some good things, but overall, I’m not sad to see the backside of 2010. 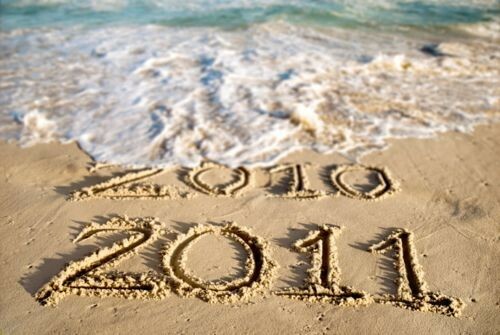 My prayer is that 2011 be a much better year with lots of laughter, good health and fun. Over the past three weeks, my hair has been the last thing on my mind. My family encouraged me to go to the salon to get my hair done one weekend. Melinda from DSM did an awesome job on my style, but I didn’t take any pictures or anything like that. In a few weeks, I’ll probably go back to the salon and have her do it again for me. At that point, I’ll take pictures and post them. I had a couple of lists that I wanted to post as well as some product reviews — look for them in the next few weeks. I may not post as regularly, but I will be posting. Talking about hair is a good outlet for me. Glad to see you back. Glad to hear he’s better. Glad to see the end of 2010 as well! Hope to see more of YOU (in person and not online) in 2011! Thanks! Definitely! It’s been a while since we’ve cracked some jokes together!